Horse racing in Australia is certainly different from US racing in many aspects. Australian horse races, for example, are conducted on grass surfaces. Handicappers need to be aware of the differences in the races before they bet the Australian race tracks at an online racebook. This will increase the chances of winning real money betting horses online. In Australia the speed ratings for thoroughbred race horses are presented differently. There are no Beyer Speed Figures assigned to horses like the ones used in the US. Instead, race horses in Australia are given what is known as a Timeform Rating. This is also a single number that is designed to reflect how fast a race horse is. Most handicappers believe that Timeform Ratings on Australian horses are synonymous with speed ratings. This is not precisely true. The Beyer Speed Figures are designed to measure and reflect one aspect: the speed of a race horse. The Timeform Rating is designed to give a complete picture of race horse form with an emphasis on speed. Let’s clarify. When you see the Beyer number for an American horse what you are seeing is only a reflection of speed. That number does not indicate how well or how poorly a horse has performed in recent races, only how fast it ran. It is left up to the handicapper to determine how the horse’s speed or lack of it contributed to overall form. Maybe the form of the horse wasn’t that great, but the track surface was biased toward horses with early speed. This could have inflated the Beyer Speed Figure earned by a horse in a race. Timeform Ratings go a step further in trying to be both accurate and objective. They are meant to represent the racing merit of an Australian horse. Creating these figures is the result of a very complex process that involves mathematical formulas and judgment calls applied by a team of respected racing analysts. The Timeform Rating is also a single number. In theory it allows the handicapper to make a direct comparison between two horses. The race horse with the higher number would be considered the best betting selection in a race. If it were only this easy. Successful punters know that using Timeform Ratings as a handicapping aid requires some intuition. The manner in which they are considered makes all the difference. Timeform Ratings are much older than the Beyer Speed Figures. They made their initial appearance in 1948. They are now owned and marketed by Betfair, a UK sports betting exchange. All handicapping aids usually generate fierce debate on how they can be used. Some handicappers will use the Timeform Ratings to assess speed and nothing else. Some will use them to aid in assessments of class. There are even Timeform Ratings for Australian horse racing trainers. How you use Timeform Ratings to pick winning horses is a matter of personal taste. There is no right or wrong way. The list goes on and on. Each one of these factors can hamper or benefit the running ability of a horse. When you learn how to use Timeform Ratings properly you can gain insight into any of these factors. That insight can then be applied to your handicapping methods. Each horse is assigned a Timeform Rating for every race in which it competes. When you begin to evaluate the chances of an Australian race horse competing today, you see that the horse is being ridden by a jockey that has only ridden the horse a few times in the past. When you look at the Timeform Ratings for those races you notice that those figures are substantially higher than those earned when the jockey was not riding. What can you glean from this information? You should be able to see that the horse prefers the services of today’s jockey. Maybe the jockey knows the horse better than others. Maybe the horse likes the way this jockey sits its back. Who knows? It doesn’t really matter. All you need to know is that the Timeform Number is higher when this jockey rides. There are opportunities like this each and every day on the race track when you familiarize yourself with the Timeform Rating. Getting Timeform Ratings is simple, but it can be expensive. In the US you can get Beyer Speed Figures and other information with a Daily Racing Form. You will likely need to purchase your access to Timeform Ratings via the official website, or you may be able to get free access to them with an online racebook. Some online racebooks like Bovada will provide free handicapping tools when you bet a minimum amount during each month. 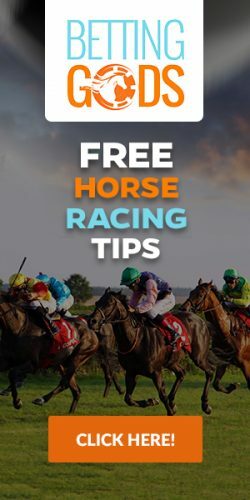 We recommend that you check with your online horse betting site to see what free benefits are available.